Winter driving can be the most dangerous driving conditions you may come across. You may start driving in clear, dry conditions and in a matter of hours you could be in Freezing Rain or Snow Showers. If you are not prepared for the drastic change you could be in trouble. In this article I am going to outline some of the things you need to think about before you start driving, for any distance, in the winter. When you plan a trip that will take place in the winter, you need to think ahead and plan for the worst. I know for me, that means that I will plan to get stuck some place for up to 3 days. I know how that sounds, but if you plan on getting stuck and you pack with you the items you will need for 3 days, then you should have no problems. So what do I mean when I say “plan on getting stuck for 3 days“? That means you could run into a closed road, blizzard conditions, or any other weather related problem that stops you in your tracks for 3 days. If you have not made the necessary plans and packed the necessary supplies for those 3 days you could be in serious trouble. You CAN NOT plan on getting stuck in front of a truck stop or other place to get food and water. So what should your plans and provisions include? Let’s start with the basic items. Water. You should always carry enough water for each adult and child for at least 3 days if not more. How much is enough? You could spend hours searching the internet to answer that question. It boils down to what you think you should have. For me, I always had 4 gallons of water and a 24 pack of 16.9 oz bottled water. Some sources state that you should have 1 gallon for every adult and 1/2 gallon for ever child. That is a good rule of thumb, but keep in mind that you may need water for cooking as well as sanitary reasons. The point is that you need to think about this and figure out how much you think you will need, keeping in mind you may not be near a fresh water source. The 2nd thing you need is Food. Now we all know we could survive for a few days without food, but not as long as we are planing. I could almost write a book about what kind and how much food you should carry. Let’s break it down a little. You should have a food stash just for this type of situation. 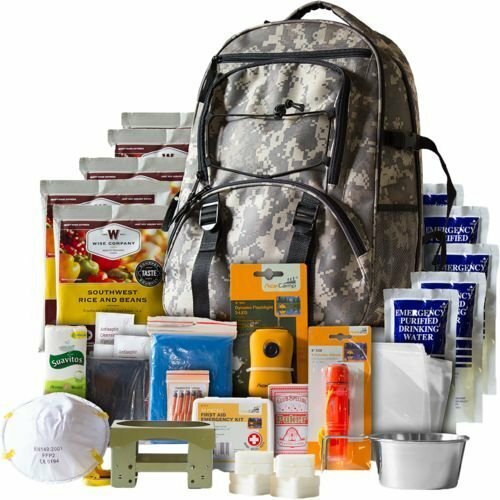 You could get stuff like MRE’s or other type of food you don’t need to cook. Now, on my truck, I had a Microwave so I had food that I could cook in a Microwave, which is great but the problem is if I could not run my inverter for some reason then that would do me no good. So I also carried food that needed no cooking. Food like canned tuna, beans, pre-cooked rice. The beans and rice may not taste the best when it is not heated, but you will survive. Some of the other things you need to think about is clothing. If you are taking a day trip you may not pack extra clothing-this could be a mistake. Pack extra clothing in case your clothing you are wearing gets wet. You should also have blankets for everyone with you. If you get stuck and can not run the heater, the blankets would come in handy. You should also pack stuff like flashlights, matches, gloves, heavy socks, and stocking hats. The idea is you want to be ready if the temperature drops and you have no heat. What other things should I be carrying? So far I have talked about what you should have in case you get stuck. Now I am going to talk about things you should have with you at all times. 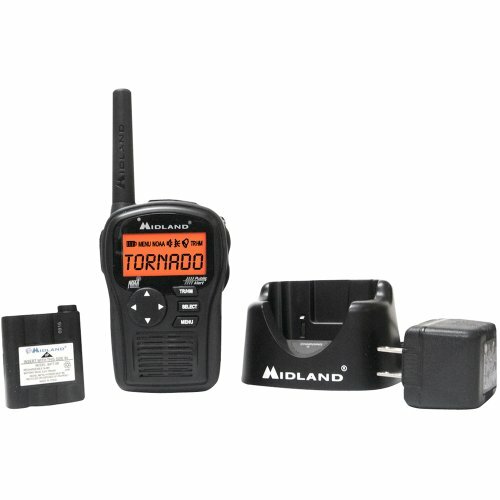 As far as I am concerned, some type of weather radio is a must. Like the one pictured above, you should have a small, portable, battery operated weather radio. Features I would look for would be a radio that has a home and travel mode. In home mode you can program it for you home county and in travel mode it will alert to any S.A.M.E. Alert for the county you are in. I have carried a radio, like the one pictured above, for years. I would turn it on at night and if bad weather hits in the night this radio will set off an alarm that will wake you up and give you time to look for shelter if needed. Another item everyone should have is a simple First Aid kit. This is important for any type of traveler. You don’t have to spend a lot of money to get a nice first aid kit. The kit should include items like a first aid guide, vinyl gloves, bandages, cold compress, gauze pads, trauma pad, cotton-tipped applicators, first aid tape roll, antiseptics and common OTC pain medications. You can pick up these kits at a local pharmacy or I have several kits on this website that you can order. 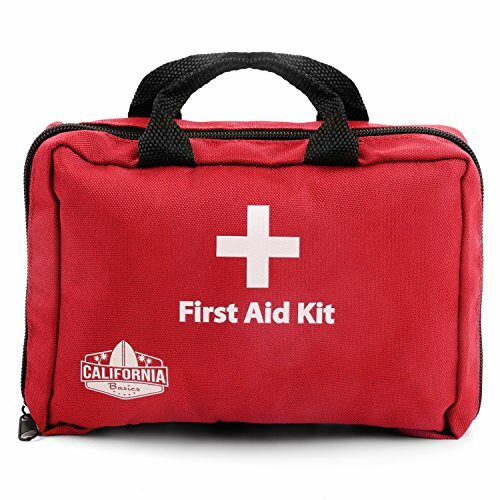 A First Aid Kit for your car is another recommend item to carry. This is more for the Weekend Traveler then a truck driver. 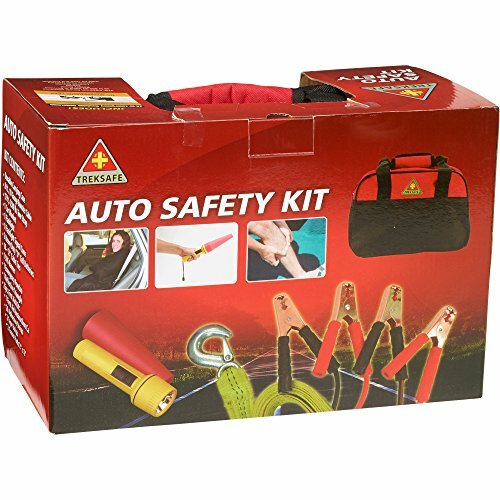 Kits like this include jumper cables, flashlights, a seat-belt cutter and a small air compressor. This item should be left in the car at all times-it could come in handy. Another way to go would be a Survivor Kit, like the one pictured above. These kits are setup for 1 to 5 people and are designed for 3 to 5 days. Most kits include everything you would need if you get stranded. I have a large selection of these kits here on my website and they could save you time and money as most of them include everything I have already talked about. These kits include a handy backpack and are usually less the 10 pounds. Taking a trip to gramma’s house should not be a big deal, but you never know what can happen along the way. You don’t need to pack for a year, but you do need to prepare for a few extra days in case something happens along the way.